Mr. Samuel Davies, Mr. W. Rogers, Mr. J. E. Rogers, Mr. J. W. Griffiths, Mr. J. G. Jones, Mrs. Bertha Jones, Mr. J. Duffy, Mr. E. T. Edwards, Mrs. Edna Edwards, Mrs. Sarah Jones, Mr. G. Ashcroft, Mr. L. Rogers, Mrs. E. Rogers, Mr. J. M. Edwards, Mr. G. Jones, Mrs. Edith Rogers, Mr. A. Dyer, Mr. R. Love, Mr. J. Rogers and Mr. Pryce Jones. On December 6th, 1905, 26 members were enrolled by the Reverend H. T. Huffadine, Mr. Peter Williams, Brymbo Hall, was present. 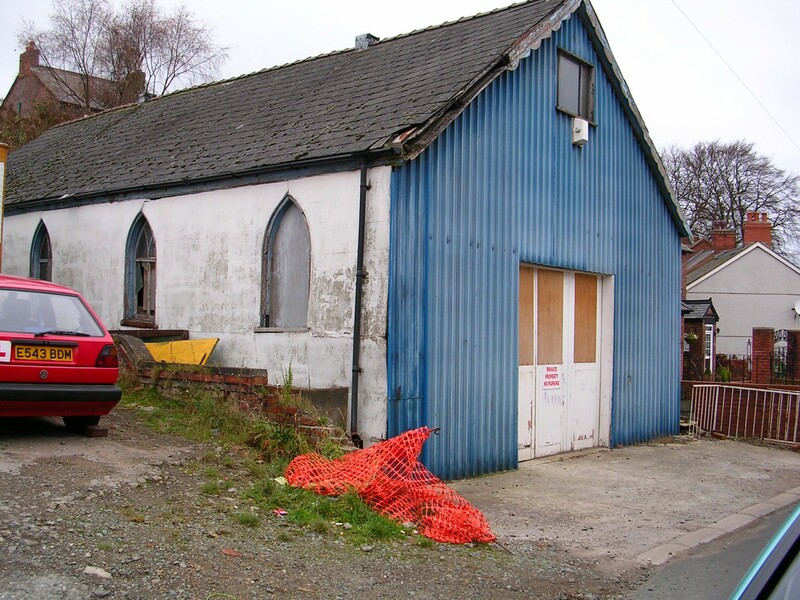 Land was bought in Harwd Road, Brymbo, to build the Church on. The building was commenced in February 1908, as it was a corrugated sheet building, it was ready for opening on March 29th, 1908. Mrs. G. F. Harrison, Cambrian House, Brymbo made the official opening; the invited preacher was the Rev. T. M. Rees. It was not registered as a place of worship until May 11th, 1926 and was not registered to solemnise marriages until June 29th, 1926. Mr. F. K. Hawkins, Mr. T. Sauvage, Mr. J. Wilcoxon, Mr. Ellis Roberts, Mr. Morris Roberts, Mr. W. Rogers, Mr. Jarrett Harrison, Mr. S. Davies, Mr. E. T. Edwards, Mr. J. E. Rogers, Mr. J. M. Edwards, Mr. G. Jones, Mr. T. Jones and Mr. W. Wynne. The first Pastor was the Reverend Gwilym Thomas, who commenced his pastorate on March 13th, 1910. The first Church Secretary was Mr. J. Ernest Rogers, who served in that capacity for nearly twenty years. In 1925 the Church was renovated and refurbished; the outside-corrugated sheeting was rough casted over, altering the appearance of the Church completely. Mrs. Mary Jones, the oldest member of the Church, made the official re- opening of the Church. 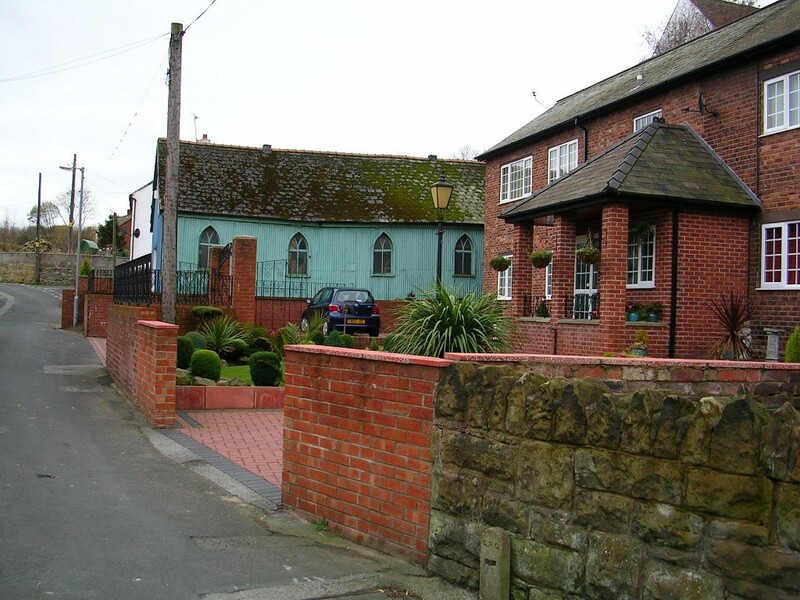 During the 1930's it had one of the largest Sunday Schools in the village. In the late 1960's and early 1970's the congregation began to dwindle and by 1978 there were only about half a dozen members left and the Chapel was closed. It is also to be noted that the famous Williams o'r Wern preached at this Chapel. Another factor, which contributed to the demise of the Chapel, was a fault, probably from an underground pit that caused a fracture in the center, the subsidence started from the Clergy House. My grandmother's old butcher's shop, cut across the front of the old Post Office, which has an iron rod through it, under the center of Harwd Road Chapel, across the front of Mayfield Cottage and then under the corner of the cottage, formerly owned by Mrs. Fariman, and then on to the former Welsh Church, making it unsafe and causing its demolition. Does anybody have old pictures of the church?